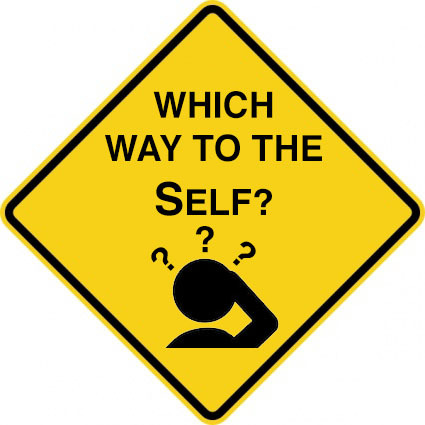 No one seemed to get my “WHICH WAY TO THE SELF” sign (or t-shirt) cosmic joke, since it when I posted it my “Group With No Name” FaceBook group (as far as I know). 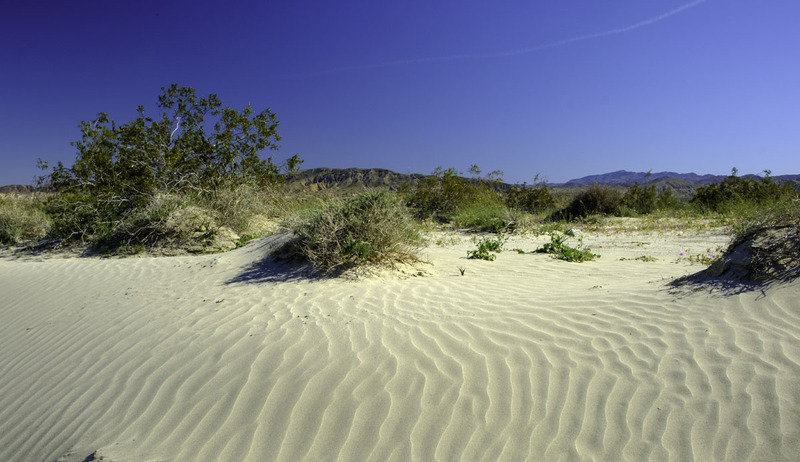 Backing up a bit: The first thing that hit me when I got to the desert was that I was “supersaturated” with non-dual teachings and “spiritual” or wisdom teachings, (satsangs, studying, reading, writing, listening to audios or videos…). This is all content – of the mind – and not, not context. It. And I sensed a certain frustration or impatience with non-dual and spiritual teachings or teachers, which I’m sure many people feel but don’t admit either to themselves or to others. Flash forward: As Paul Hedderman pointed out to me yesterday, I just needed to give myself permission. I took this as permission to Be. Which is a funny thing, if you think about it. 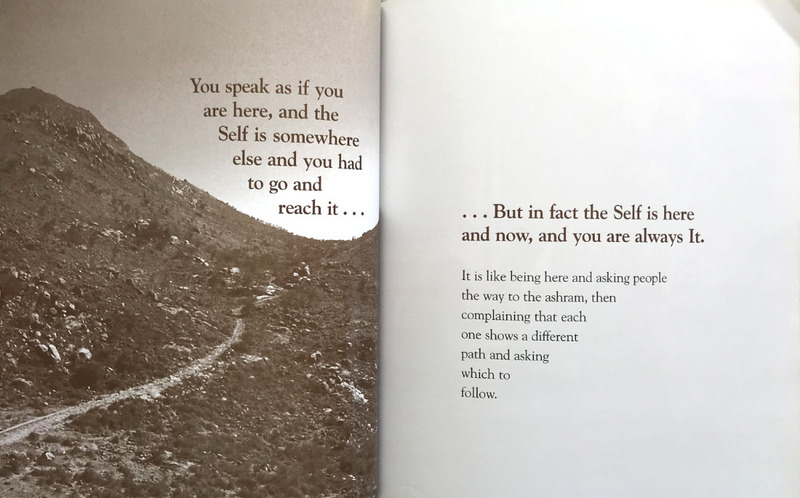 But so true – we think we have to be someone or be doing things to become someone or get somewhere or gain some thing or get something done (to be happy, fulfilled, at peace, whole, whatever), and we forget how to relax, open the aperture and just totally Be. The simplest thing in the universe – being yourSelf – becomes hard somehow. So we go to retreats, satsangs, meditate … or on desert sabbaticals (and a sabbatical from satsangs, on my part). There’s no place to go and nothing to do. Yet countless teachers (and coaches, therapists, preachers, politicians, writers…) hold out a carrot as if there were something to seek or do or become. Why? Because there’s lots of unhappy people, and lots of seeking. We are brought up programmed (innocently, unconsciously from other programs running automatically) to believe we need to become something, with the implication that we are lacking, because we are separate and need to deserve something (like love). If this wasn’t the case, the teachers wouldn’t exist. This is a beautiful example of a need being fulfilled, a want finding a giver. A river finding its own ground. Love spilling out. “It all comes out in the wash dude”. So what to do? Answer: It’s not black and white. Counteracting the cultural programming by a thoroughgoing self-investigation may help (or meditating, or living as if universal Consciousness were fact…). Or it may not. No one knows the formula, because there isn’t one. This is echoed in how every teacher has a different expression and message. “Follow your love and enthusiasm” (or “bliss”), is as good as any. But there are no guarantees, and it’s just another bit of language, and item of mind that can’t be held on to. And not holding on (to anything in mind) is key, from what I’ve seen. How could you give freedom to someone else? That makes no sense. Nature is the model because it has no model. Beauty has no template. Love and truth have no form. They are free. The wellspring of newness is not mechanical. Our culture is based on mechanical models of nature. It works for some things but is useless for telling us what we are, what is perceiving ultimately. What is perceiving ultimately can’t be perceived or named, because it’s the source of perceiving. (Don’t think too hard about that one or your head will blow up). So the central flaw of the teachings is that there’s something you can get from someone. Something to achieve. Or you could say it’s the central point, since the teachers say this too, in various ways. But the teacher, or this writer doesn’t even exist (as a separate, permanent reality) any more than you do. It’s an illusion. So what the hell are you doing? What are you pursuing? Why are you spending time and resources chasing a mirage (a mirage in a dream)? Well (you could ask) what’s the point of being alive? Answer: There is none. But this is taken negatively (“why not commit suicide then?”), which is the mind attacking you, the program in operation. Anyway you can. Short of drugs or blowing your brains out. Coming at who? Take care of the mind, stop the mind, and the rest will take care of itself. The mind is the core, the program, the bad code. No mind, no self, no problem. There’s no such thing as “enlightenment” or permanent “happiness” – those are the invention of religions and teachings – a way to give a description to a paradox, put words to it; these are imported concepts, which is exactly what’s in the way. We get all tangled up in words and concepts. Life appears to be a paradox, a conundrum. But just know, or take the clue, that it’s an apparent paradox: it’s only to the mind. When you’re busy being happy, there’s no paradox that bothers you, no conundrums. (And you won’t be hungering after some special experience, nondual, mystical, or otherwise). They are, if looked at, just interesting. By the way, I’m not telling anyone what to do or not do (with spiritual teachings, teachers and practices). Do what you want, whatever makes you happy – that’s the point – it’s a free country. This is just a report from the “front lines”. OK enough yabbering and ranting. Just wanted to get it down on paper… thanks for your patience and interest.